6.41mm x 8.56mm / 0.252in. x 0.337in. 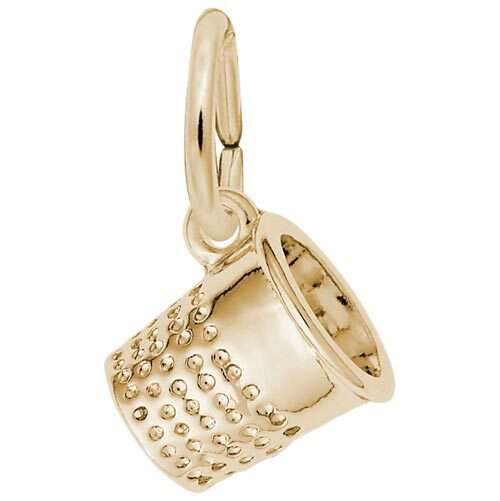 Thimble Accent Charm by Rembrandt Charms. The height is 3/8 of an inch. Showoff your love for sewing with this Thimble Accent Charm. This item is sure to have everyone in stitches. The accent charm collection is the perfect size to accompany a disc charm like Style #8440 for engraved sentiments. All Rembrandt Charms are available in either silver or gold.